New Jersey is one of the most densely populated states in the United States. Here in New Jersey, you will come across people who are willing to go out of their way to help someone. If you too want to give it back to society, how about becoming a licensed hearing aid specialist? Prepare for the hearing aid specialist licensing exam here in New Jersey and start working as a licensed hearing aid specialist in less than 12 weeks. Linda Bove, a native of New Jersey is a deaf American actress who was born to deaf parents. In her senior year, she studied in a Summer School Program at the National Theater for Deaf. Are you tired of your regular 9 to 5 job? Want to break the monotony of your job and work flexible hours? How about preparing for the hearing aid specialist licensing exam here in New Jersey to become a hearing aid specialist? According to the labor statistics, a qualified and licensed hearing aid specialist is able to earn an average salary of over $58,000 per year. Moreover, you can earn a higher amount as some companies are ready to pay significantly more because of the increasing demand for licensed professionals. To pass the hearing aid specialist licensing exam here in New Jersey, you are not required to invest a large amount of money or time. Astonished? The Hearing Aid Academy offers its students a chance to prepare for the written and practical International Licensing Exam (ILE) administered by the International Hearing Society (IHS) in about 3 to 6 months while working their daytime job. This 100% online curriculum cost only $199 per month payable over a course of 12 months. Moreover, financial assistance is also provided to students who qualify for the program. Further, this self-paced program gives you a chance to prepare your study schedule around your work schedule and study whenever you get time. By registering for the program, you can work your daytime job and study at night. Hearing loss can affect a person of any age group. Therefore, it is important to make people well versed with the importance of hearing aids. Hearing loss can result in social withdrawal and fewer job opportunities which can leave a person depressed. Thus, it is vital to wear hearing aids which amplify the sounds and make it easy to hear them. When finding a hearing aid, it is important to choose one that fits your lifestyle and demands. Therefore, it is important to visit a qualified hearing aid specialist. There are a majority of companies who are opening hearing retail centers nationwide to help people hear. To fill in the job opportunities, the companies need licensed professionals. This is your chance to work as a qualified HAS by passing the hearing aid specialist licensing exam here in New Jersey. Enroll with the 100% online curriculum offered by Hearing Aid Academy to prepare for the exam today. While working as a licensed hearing aid specialist, you will be responsible to evaluate people suffering from hearing loss and make it easy to choose the best hearing aid. As a licensed HAS, you will be providing the patients with a series of tests and evaluations to make sure the chosen hearing aids fit perfectly and perform well. By passing the hearing aid specialist licensing exam here in New Jersey, you can work at a retail location, offer mobile hearing aid testing or open your hearing aid center. Along with the average salary, you can earn more by selling the hearing aids. 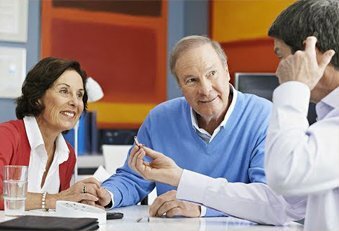 Do you know for every pair of hearing aids that you sell, you can easily generate a profit of up to $1000? By selling a couple of hearing aids, you can earn more than $100,000 as profit. The hearing health industry is growing at a fast pace and provides long-term stability. This industry is not going to slow down anytime soon. Various retailers such as Costco, CVS Pharmacies, Miracle-Ear, Sam’s Club, and Walgreens are opening hearing centers nationwide and are in need of licensed professionals. Therefore, for every student passing the ILE, there are currently 5 job openings. Take advantage of the opportunity and become a licensed hearing aid specialist. If you want to start a career as a hearing aid specialist, register with the Hearing Aid Academy. This is a comprehensive and advanced online education program that helps the student prepare for the hearing aid specialist licensing exam here in New Jersey in 3 to 6 months. The academy offers a cost-effective option as compared to accredited universities. While at a university, you need to shell out more than $48,000 for a two years course, the HAA program cost much less. The academy also provides financial assistance to students who qualify for the program. So if you are a busy professional who cannot afford to leave their job to study, this is the best way to enhance your skills. This self-paced 100% online course can be studied anywhere anytime with a working internet connection and laptop. So with proper time management, you can schedule your online learning sessions and study at your pace. This curriculum is spread over 100 hours and is divided into 31 modules. After clearing the modules, you can easily pass the ILE. Get the skills you need to pass the hearing aid specialist licensing exam by registering with the Hearing Aid Academy today!